Kindle And Me...: New Start! My First Giveaway! Thank you all so much for participating! I definitely did not expect so many of you to to enter in such a short time. I'm really really happy! I think I will soon! Anyway, I had entered all your e-mail ids on random.org..and the winner is..
To the others, thank you once again for your participation and your help with spreading the word! Please keep checking out my blog, there's a ton of other giveaways coming up soon. There's one starting on the 21st! Looking forward to your entries! really cool books.good to know there are other indian girls like me who like such book. New follower here. I just hopped over from FB and wanted to pop in and say hi. I like your book seleciton. 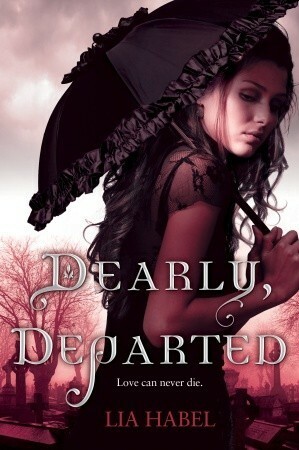 Oh, can't wait to get my paws on Dearly, departed. The cover itself is just beautiful. BTW, your photos are amazing! New follower here, so congrats on the giveaway Anjana. Your blog looks amazing, well done! Your blog is so pretty. And this is a great giveaway. I am now following! What a beautiful blog. Congrats on starting it. The giveaway looks great & I'd love to be entered. I'm your newest follower. Great giveaway! Thanks. Please enter me. Congrats on the blog it looks awesome. I want in on the giveaway too, what a great selection of books!!!!!!!! Hey Anjana! Great Blog!...looking really good Congratulations! I'm happy to be a follower and think your reviews are great. Love the book choices. Those are really great books, I'm excited for this. PS. You know Weheartit too! LOL, Completely random. Congrats! Love the name and design! I LOVE THE BOOKS YOU'VE CHOSEN!!! O_O Every one of them is on my to-be-read list!!! And believe me when I say this- IM DYING TO READ SHATTER ME AND DEARLY DEPARTED!! I love all these books-they are on my order list :) and I saw just below it was your review of Enchantment--extra cool :))) Happy Holidays!!! Great giveaway. I am a new follower. I found your post on PR&UF facebook group. I am dying to read all the books so great choices for the giveaway! I'm a new follower! Awesome job!! Ooooooh! I see several titles I'd love to own! 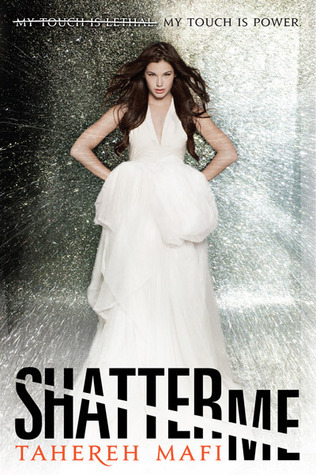 Shatter Me is already on my radar, and the others look intriguing! Thanks for the giveaway! Love your blog! Eventually, I'm going to have to really do one of these! Anjana, def enter me to win! AWESOME, You do giveaways BIG and U know I'm a follower. U still have more books than anyone I know in LIFE!!! UR a true ♡bibliophile and congrats on UR FIRST GIVEAWAY GiRLiE. AMAZING giveaway. Thanks for the chance to win. Thanks for the giveaway!! That's super generous of you. New Follower! Very good luck with your blog!!!!!!!! Thank you for the giveaway too!!!! I am new to your blog and now I am following you, your pages are beautiful and I added 3 books to my to be read list from reading your reviews. For a new blog this is pretty awesome :D Thanks for the giveaway! Wooow! What a fantastic giveaway. And congrats with your new blog. This is amazing giveaway! Congratulations on your new blog! Wow, such an awesome giveaway. What a wonderful blog. New follower. Feel free to pop over to mine, also. Hey, love the giveaway list! Those books are one of the top in my TBR list! Haha, thanks for the giveaway! Hi, I found you through Goodreads! I like the way your blog looks, cute but neatly organized! What an awesome giveaway. Congrats on the blog I hope you enjoy blogging as much as I do. Great book choices! Keeping my fingers crossed. New follower! Congrats on your first giveaway, I became a follower and tweeted for you. I wish you all the best. All the books look fantastic and I would love to win any of them. Lovely blog! I can't wait to see where you take it. I'll definitely be adding you to my blog roll. Congrats on your first giveaway. Beautiful blog! And thanks for the giveaway all these books look amazing. Welcome to the blogosphere and thanks for the invite to the giveaway! I'd love to win these!! Great blog and giveaway! Also thanks for the invite. I have a giveaway too, if you'd like to enter it as well. Holy cow! You have as many comments as I have followerS! well you did until I posted this one now you have more comments than I have followers! Thanks for such a generous giveaway :D I"m a new follower! Thanks for the giveaway. New follower, as well. GL to all. 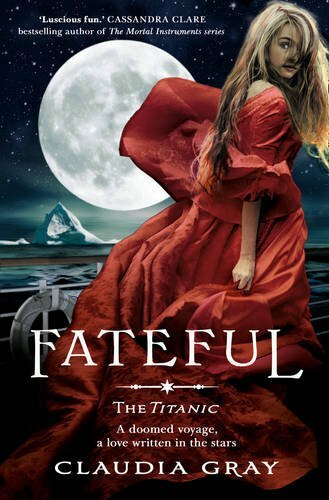 Saw your giveaway listed on goodreads! Cute blog you have, hope to see more posts coming up soon! Thank you for the giveaway :) Really appreciated. Also, please head over to my blog and check out my current giveaways! There is another starting tomorrow, which will make 3 I currently have running! I think I'm your 82nd Follower. I also saw your post on Goodreads. Wonderful books! Thank you for the great giveaway! 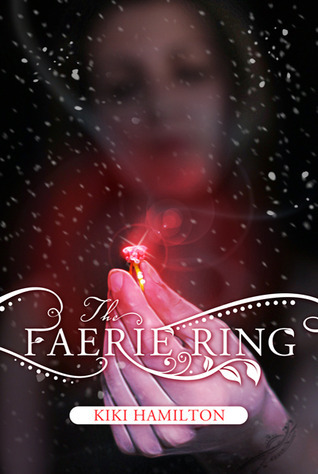 I'd love to win fearie ring! New follower! Sounds like a great book; I'd love to win it! Awesome giveaway. Thanks! New follower. Welcome to the wonderful world of blog giveaways! I'd love to be included! thanx for the giveaway, i always wanted to read shatter me and you have a beautiful blog. Thanks for such a sweet giveaway! Your blog rocks! This is such a cool giveaway Anjana! You rock! Thanks Anjana!!! I sent my information to your email :) ☺ Can't wait to get my presents and read them.